Learning Piano? Try Before You Buy! If starting out on your musical journey or perhaps have a young beginner at home you may want to try piano playing out first before purchashing one. The Allens Music Home Piano Rental plan is an ideal choice for you! 1) Choose you piano from our stock of insturments. If you need help a member of our experienced staff we will be happy to assist you with choosing a suitable piano. 2) Multiply the price of piano by 20% - this is your rental fee for 3 months. For example an upright piano priced at £2,000 would cost £400 for your 3 month rental, which works out at just over £133 per month. 3) We ask for the first month's rental in advance (this can be paid by credit or debit card), plus tuning & RTB delivery fees. 4) Your remaining two monthly payments are made by debit / credit card. 5) At the end of the rental period you can either return the piano*, continue renting* or if you wish to purchase you can redeem* your 3-months rental against your instrument. Examples and prices above all include VAT at current rate. We are pleased to offer an urpight and grand piano rental service to a variety of venues, businesses and individuals. We are the current piano sponsor for the Maddermarket Theatre, Norwich, plus have supplied clients such as Potters Leisure, ABRSM, Pontins Holidays, Sheringham Little Theatre, plus numerous small events. In fact our pianos have featured many top name artistes including Lesley Garrett, Aled Jones, Russell Watson, Bobby Crush et al to name a few! We can offer a bespoke service including delivery and collection, tuning for an inclusive price. We can supply suitable instruments for concerts, weddings / receptions / functions, examinations, theatres & music venues and a variety of small, medium or large events. 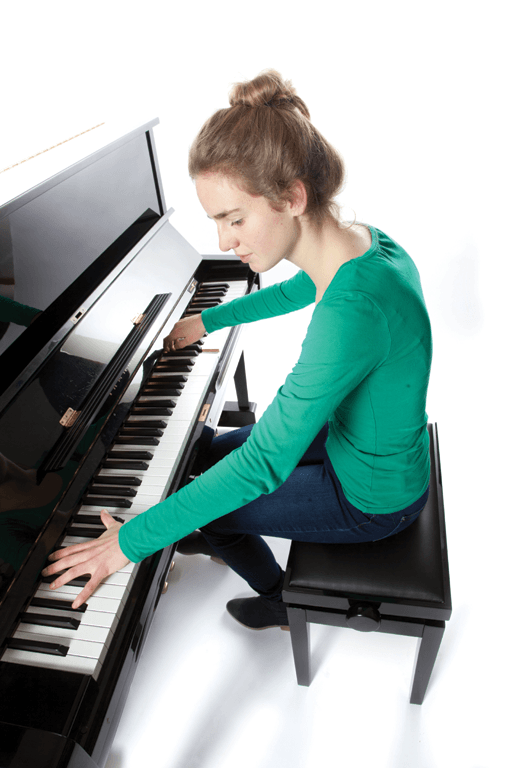 We have a variety of upright pianos available, plus black or white Yamaha baby grand pianos. Please contact us directly to discuss your indivdual requirements.